17 OCTOBER 2014 – In its commitment to enhance land and enrich the lives of more Filipino families, Ayala Land Inc. (ALI) brings affordable healthcare through its first QualiMed Hospital in Atria Park District, Iloilo City. 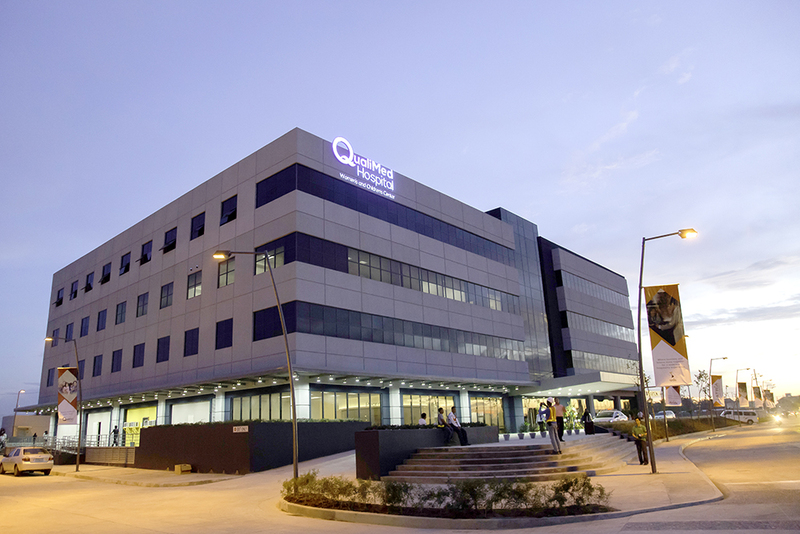 QualiMed Hospital opens its first phase with a specialty Women’s and Children’s Center equipped with 40 beds and 9 specialty group practice clinics. It makes available to Iloilo the latest in Radiology and Medical Imaging; Dialysis; Inpatient Care; Inpatient and Outpatient Surgery; Physical Rehabilitation; Laboratory Diagnostics; and Emergency Care. By 2015, with over a hundred-bed capacity, QualiMed Hospital in Atria Park District becomes a full-service general hospital. October is National Children’s Month. This is being celebrated to highlight the importance of a child within a family and in nation building as per President Proclamation No. 267. QualiMed Surgery Center Manila prepared a week-long celebration for kids and mommies in line with this heartwarming season. 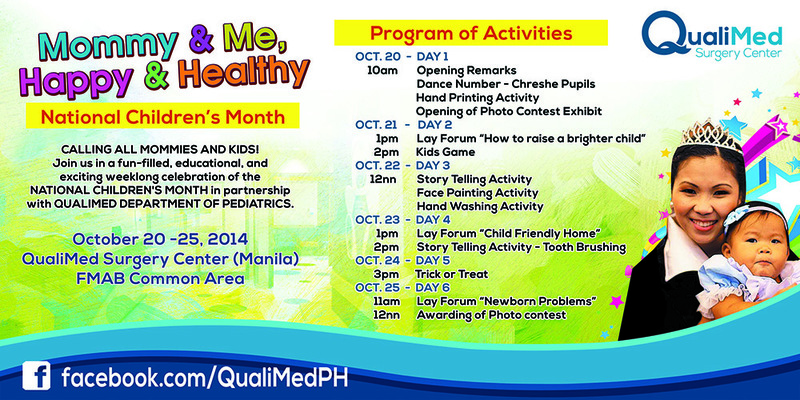 With an event themed as “Mommy and Me, Happy and Healthy”, QualiMed aims to promote a happy and healthy relationship between mothers and their children–fathers are very much welcome as well. This week-long chain of exciting activities will be composed of dance numbers, mascot show, hand printing, face painting, photo contest, seminars (for parents), early Halloween trick or treat, activities on hygiene practices, and a lot more.